They have a soothing, natural vanilla flavor so there isn’t any fishy odor or aftertaste. I learned that Ocean Blue products are available at Rite Aid. I shop there often. I learned that Ocean Blue adds a vanilla flavoring to remove fishy taste. I’ve learned that Ocean Blue products are mercury free! I learned that the Omega Power has a vanilla flavor so that there is no aftertaste. I like the lack of fishy odor. I learned that there is no fishy odor/taste. They vanilla flavoring to remove fishy taste. They have lessened the fishy taste. The vanilla flavor is a great feature that other pills of this kind doesn’t have. I like the fact that there isn’t any fishy taste. I use Omega 3 daily and would love to try these. I love that they’re vanilla flavored. Not having that fishy odor is great! I learned that this has no fishy taste or odor. Numerous studies have shown that the Omega-3 fatty acids, better known as EPA (eicosapentaenoic acid) and DHA (docosahexaenoic acid), provide significant benefits for cardiovascular health, including lowering triglycerides in the body. * The American Heart Association (AHA) recommends a daily intake of 500 – 1,000 mg of EPA and DHA for individuals with borderline high triglycerides (150-199 milligrams per deciliter), 1,000 – 2,000 mg for individuals with high triglycerides (200-499 mg/dL), and 2,000 – 4,000 mg for individuals with very high triglycerides (≥500 mg/dL). Optimal triglyceride levels are considered to be 100 mg/dL or lower. According to the AHA, more than 31% of the U.S. population’s triglyceride levels are at least borderline high. I learned that they’re available at GNC & other places I shop at & like that. 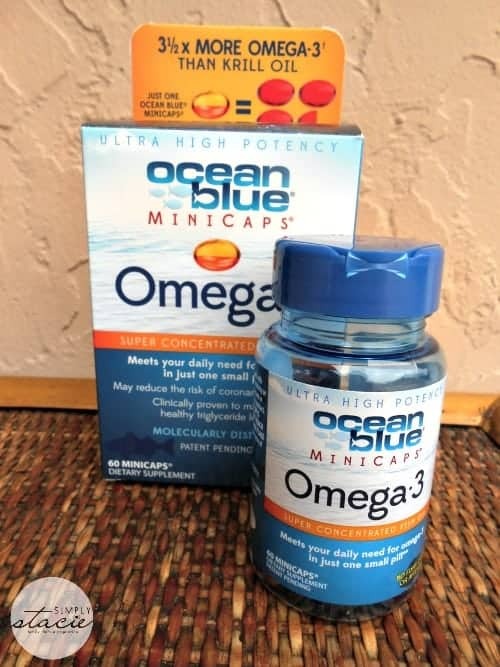 I already buy Omega 3 but would be interested in trying this brand, especially since they are running a $5 off coupon on the site!